Welcome to the online home of Darren Murray, a family run building business based around Wandsworth, London. Being well known in my local area, I take pride in my work, enjoying the satisfaction upon completion. I am conscientious and hardworking, with over 20 years of experience in the building trade. Using a diverse range of equipment with care, I always adhere to health and safety procedures; I hold a CSCS card to ensure your peace of mind when using my services. 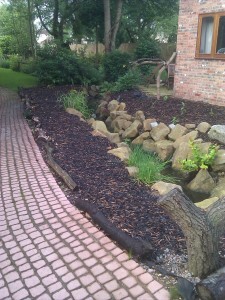 From hanging pictures to landscaping your garden – I am here to help, whatever the job may entail. Please visit our Services page for a more descriptive list of services. Please still ask for a quote if outside this area & will depend on circumstances. We hold full public liability insurance, ensuring our customers peace of mind when using our services. Certificate is available on request.